The people have spoken... The February People's Choice Award goes to Patricia Cotter for her short play, I’m Really Sorry About This, presented as a staged reading at Monday Night PlayGround on February 15 at Berkeley Rep. Congratulations, Patricia! Courtesy of Ms. Cotter, we're pleased to share the first two pages from the award-winning script. Enjoy! Cast: Two men, one woman, any ethnicity. We only see Julia; both Siris and Robert are offstage/voice overs. Julia - Female - Age 30's and up. Smart, has a lot going on, in denial. Relies on her phone quite a lot. Siri - Female - Any age, compassionate, created by Apple Computers. Male Siri - Male - Any age, a bit of a know it all, created by Apple Computers. Robert: Male - Age 30's and up. Julia's husband. Evasive. Having an affair. Julia is in her car on, say, the 101. She hits the hands free button on her car’s phone system and connects up to Siri. What is the estimated time I should arrive home? You should arrive home in about forty-seven minutes, Julia. Which Robert would you like me to call? Oh, I hate you right now. (Deliberately, loudly, they way you sometimes have to do with Siri) Call my husband Robert. What would you like to know about Robert? Nothing. I already know everything about him. I just need you to call him because I live in a stupid hands free state and I can’t do it myself. So CALL ROBERT. There are some things that you need to know about Robert. I thought you’d just like to know more about Robert. -For example: Where is Robert right now? What is wrong with you? Is this an operating system upgrade thing? (Over articulating) Call Robert. Haven’t you ever noticed that Robert will call you back, but he never just picks up. No. He...yeah...actually that is weird. Something to think about, Julia. Stop using my name, Siri. What would you like me to call you, Julia. Why do you have to call me anything? Fine. What’s his favorite movie? “The Matrix Reloaded” or “Office Space” depending on the mood or who asks him. 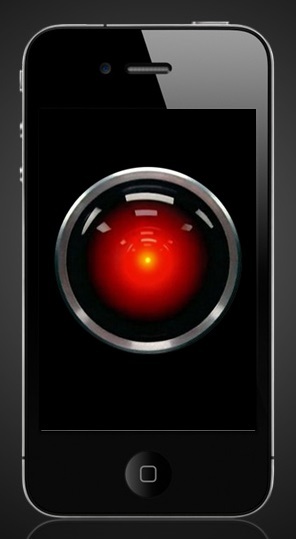 Julia pauses - Siri is right and it’s freaking her out a little bit. Join us for the next Monday Night PlayGround on Monday, March 21, at Berkeley Rep and choose your own favorite. Click here for more info. PlayGround Night at Whale's Wake Premiere! PlayGround Announces 2nd Annual WomenArts Night!